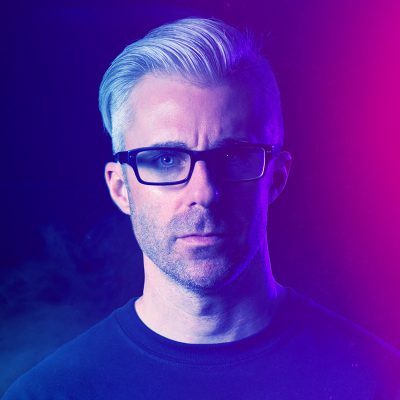 I’m a big metal-head, and coupled with that is a huge interest in bands that make a conscious effort to create and maintain a visual identity with their logos and wordmarks. 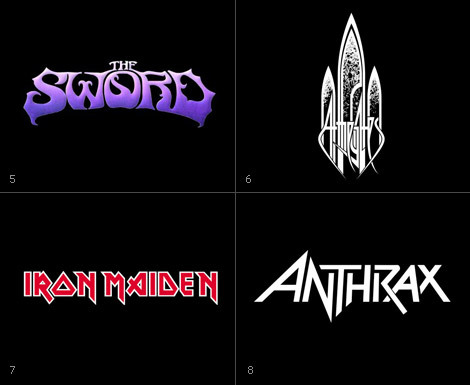 Here are a bunch of my favorite metal logos, both new and old. One of my favorites is #6, a logo used by Swedish death metal band At the Gates. While being fairly illegible, I love the composition and those textured cathedral windows are really really tough. You can see a larger version here. 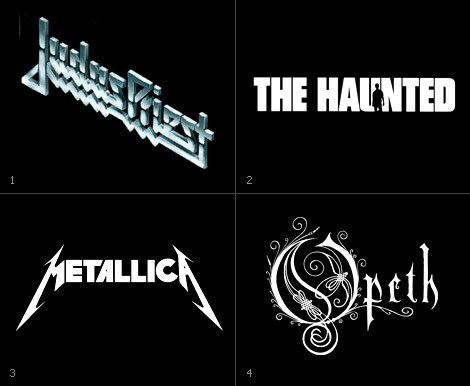 I totally agree… Metal bands have such strong logos. My favourites are Metallica, Iron Maiden and Anthrax. That At the Gates logo is awesome! Keep in mind Converge, Mare and The Red Sparrowes. You’ll want the book “Band Id”. Trust me. As Joanne said, string logos make strong and lasting impressions. The link here for a larger version of At The Gates logo is broken, by the way. I’ve always liked the Opeth logo, myself. always was a fan of the mayhem logo..